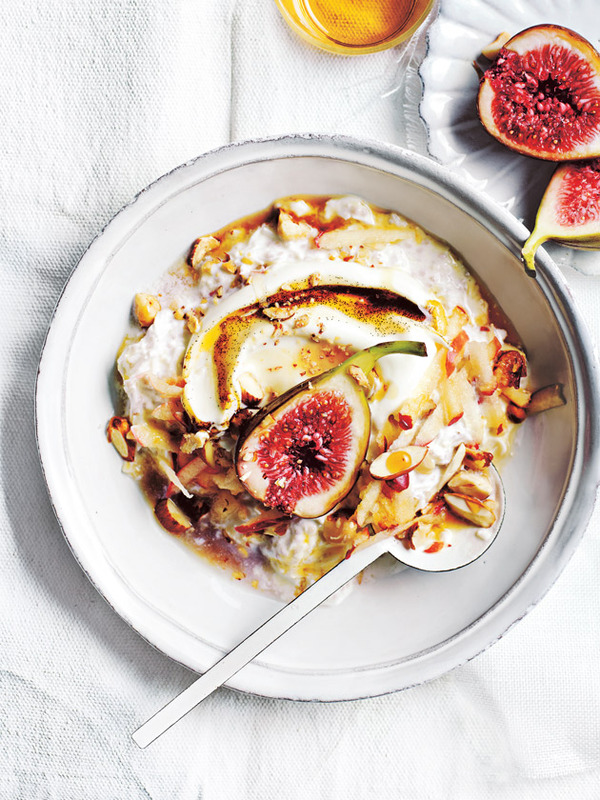 Place the yoghurt, apple juice, coconut, almond, hazelnut, chia and cinnamon in a large bowl and mix well to combine. Cover and refrigerate for 6 hours or overnight (see tip, below). Tip: This bircher muesli will keep in the refrigerator for up to 4 days. + Made with probiotic bacterial cultures, yoghurt can help maintain a healthy digestive system. Greek yoghurt is considerably thicker than plain yogurt, and is the perfect lower-fat alternative to cream or ice-cream in cooking. Look for natural varieties that don’t have any added sugar.